Founded in 1997, Perry Nicholls helps organisations turn their data into actionable insights: offering clients tailored data analysis services to enable them to achieve business objectives. Originally set up to provide consultancy services, Perry Nicholls grew into what is now a business intelligence (BI) specialist, providing organisations with the means to plan and execute effective business strategies using measurement models, data capture, data cleaning, data analytics, data hosting, and business intelligence dashboards. With a customer base of predominantly medium-sized organisations, some of which operate on a global scale, Perry Nicholls relies on a robust and reliable IT infrastructure to deliver its data-heavy services. Before moving to Teledata, Perry Nicholls was storing data on an in-house server rack and using a third-party data centre only for monthly back-ups. "Using an in-house server was only a stop gap – a way to avoid moving into a data centre for as long as possible. This was becoming detrimental to our business: in-house infrastructure simply doesn’t have the level of capability or sophistication to protect your data as well as a purpose-build data centre." As the business grew, and Perry Nicholls moved away from just consultancy work and more into complex BI, it was apparent that it could not continue in their current building either for IT infrastructure or office space. An inflexible lease, along with the lack of environmental control and security, became simply too impractical and risky to deal with. However, the challenge was finding somewhere with at least the same level of security and connectivity levels that it’d grown used to, without being left out of pocket. Alistair Nicholls knew the most logical option was to move the company's IT infrastructure from on-premises into a colocation data centre. But where? TeleData was recommended to Alistair Nicholls by a contact as a trustworthy and reliable colocation provider within easy reach of Manchester city centre. Its ISO27001 compliant site, with state-of the-art physical security controls, 24/7 CCTV monitoring and 2(N+N) UPS redundancy levels caught his attention. The fact that Teledata could also offer an interim office location was an added bonus. Sounding like the perfect fit for Perry Nicholls’ requirements, Alistair met with Teledata’s Matt Edgley – Teledata’s commercial director. From the meeting and his very first impressions of Teledata, Alistair knew the deal was sealed. Matt sat down with him, listened to his needs, took the time to understand the business and was willing to be flexible with Perry Nicholls’ leasing and contract requirements. Teledata could offer an ideal colocation service to Perry Nicholls: rack space with unbeatable security and connectivity, and within easy reach of their premises for complete peace of mind their data was in safe hands. The sensitive nature of the data that Perry Nicholls handles means they can’t settle for anything less than state-of-art-security controls – all of which Teledata can provide. With a site manned 24/7 by a team of highly-trained and SIA-approved personnel, Perry Nichols has no worries about the security of their data – especially when they can check on their servers whenever they wish. Teledata’s diverse range of carriers allows Perry Nicholls to deliver vast amounts of data and stay connected to their global client base. 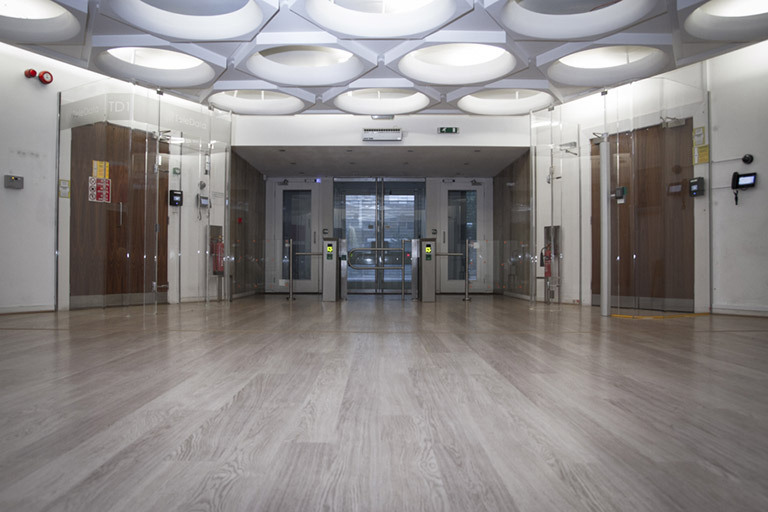 TeleData’s data centre is central to Manchester’s digital landscape, with great access to transport links and the added benefit of an on-site business continuity work area.